Jennifer Lopez On Her 'Second Act' And Fighting For Long-Lasting Success Lopez talks with NPR's Sam Sanders about her decades of superstardom, her work imitating her life, and about being a boundary-breaking Latina woman in the entertainment industry. Jennifer Lopez says women are increasingly realizing: "We have worth, and value, and that we deserve everything that we want." 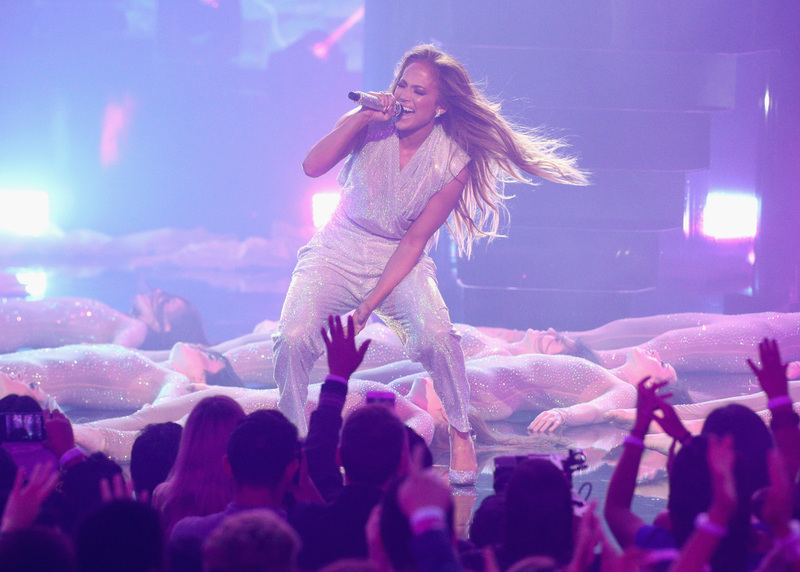 (Above) Lopez performs during the 2018 American Music Awards on Oct. 9 in Los Angeles. Jennifer Lopez has come close to quitting the entertainment industry. 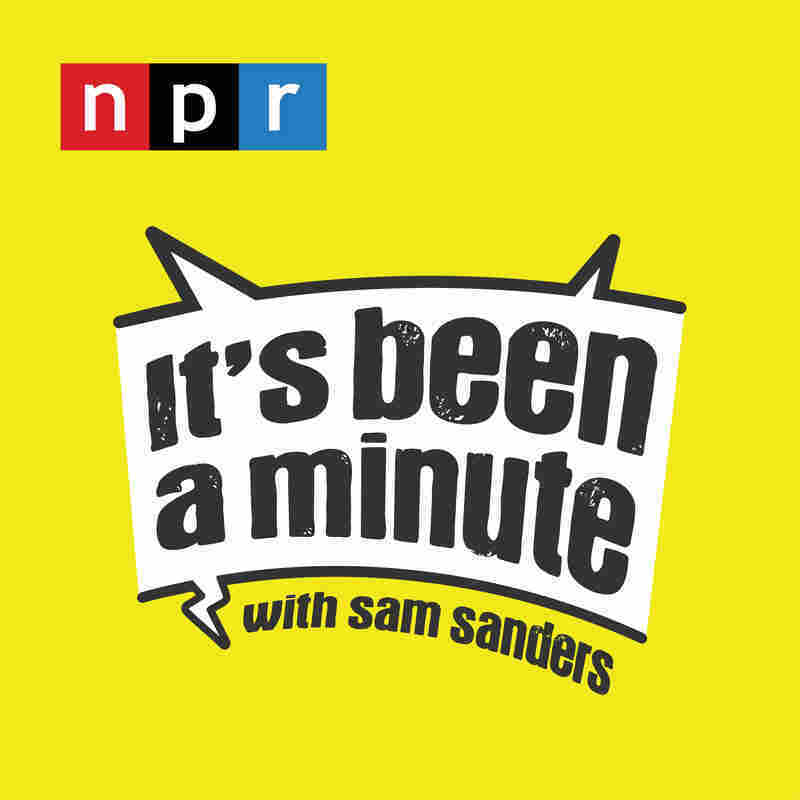 "You just get to those crossroads in your life," she tells NPR's Sam Sanders. The tabloids were full of stories about her, she says, and she wanted to regain control of her career. "Maybe I just shouldn't do this anymore," she remembers thinking. "Maybe I should just stop singing, and stop making movies, and do something else." But it was a lot to walk away from — since 1986, Lopez has appeared in more than 30 films, released chart-topping songs and albums, starred in hit TV shows and even launched her own perfume. Now — with career doubts aside — she's back on the big screen in the romantic comedy Second Act. The film follows a woman named Maya who follows her dreams and ends up in the C-suite, despite not having a college degree or the right experience on paper. In some respects, Maya mirrors Lopez's own journey: someone from modest means who makes it big, showing everyone that someone from there can make it. "I'm a girl from the Bronx who just feels ... really happy to have made it through her own dark forest ..." Lopez says. "[I'm] still growing, and evolving, and trying to be better every day." Lopez talks with Sanders about her decades of superstardom, her work imitating her life, and about being a boundary-breaking Latina woman in the entertainment industry. On doubts about "making it"
I think everybody's been at a point in their life ... where they just feel like: Damn, I keep trying, and trying, and trying. ... Maybe I'm not supposed to ... be one of those successful people. Maybe I'm not supposed to have a different type of life. Maybe this is it for me — I grew up on this block. I was born here and this is where I'm going to die. ... [But in Second Act, the protagonist Maya is] given an opportunity to show what she can do. She didn't have the education — the fancy education — and she didn't grow up, you know, around the people that you need to know. And she gets this opportunity to show that her street smarts, her hard work ethic, her heart — all of that is worth something. A lot more than she thought it was. Realizing that you have to love yourself first — that you cannot look for your happiness or somebody else to fix you — that you have to fix yourself and be your own best friend and stand on your own two feet and be happy on your own. Then you can share a life with somebody. Then you can have a family ... And in doing that — kind of becoming that whole person — all of a sudden your work transforms. We tend to focus on the negative things people say, not the positive things they say, you know? And for me, it seemed for a long time that there was a ton of negative things being said about me ... I am a sensitive person ... I think people learned that when I was on American Idol — I cried, right?! ... So many different things ... She's married this many times. She's a mess. She can't sing. She can't dance. She can't act. She can't do anything. What is she doing? You know what I mean? ... You need to dig and you need to figure out why you allow that stuff to to affect you. Honestly, find something that you love to do. ... Find your passions and pursue them relentlessly and don't stop. I mean really, I think it's just about working hard. I always tell my kids — my kids are like, "I know you work hard." I go, "No, I don't work hard. I work harder than everybody else." ... Just don't stop. The people who were not successful are the ones who stopped halfway through, somewhere. 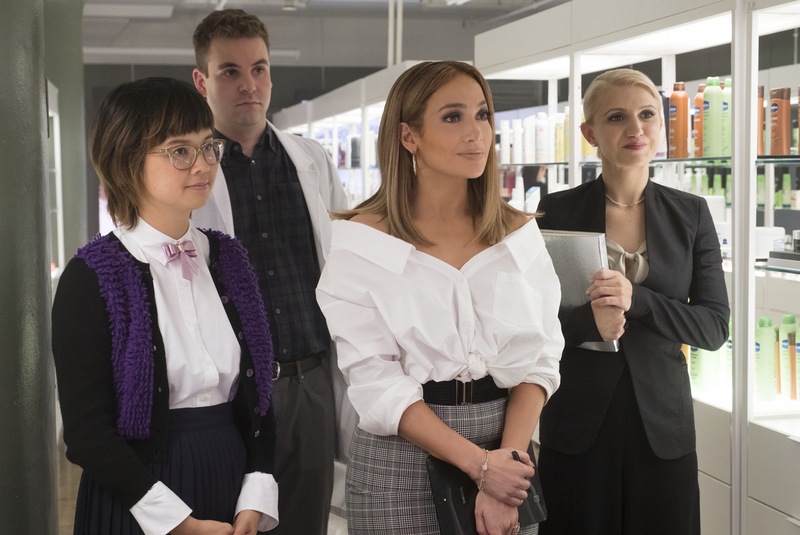 Jennifer Lopez, center, stars in Second Act, which comes out December 21. The film also features, from left, Charlyne Yi, Alan Aisenberg and Annaleigh Ashford. It doesn't come as easy. It's not as "expected." That's the thinking in the world. ... You expect "those types of people" to be like the valet guy or the person working in the kitchen, or whatever. And that's not fair. Because those people work just as hard to give their kids all the opportunities that we have in this country. So I was still in that kind of fan mentality, back in the Bronx. And then you go: Oh, wait a minute. You have a responsibility to present yourself in the way that you are, and not let people interpret it in a way that could be that you're this hurtful, callous person. You're not. That hurt me. That bothered me. So I learned to be more responsible. Anjuli Sastry and Jordana Hochman produced and edited this interview for broadcast. Sastry and Beth Novey adapted it for Web. A previous Web version of this story incorrectly stated that Ben Affleck had been Jennifer Lopez's husband. They were engaged but did not marry.